Diversity is a Berlin phenomenon; age, nationality; culture, etc., are no longer relevant. 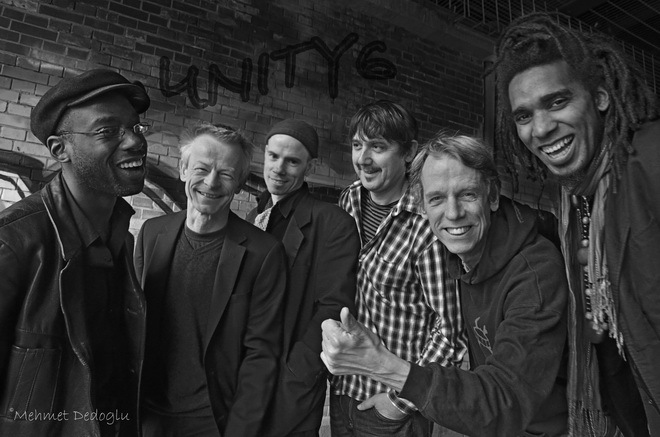 Participating in this multiplicity is Unity6, an inter - national band with several generations of highly active jazz musicians in Berlin - united by drummer Ernst Bier. The high-profile ensemble, consisting of a Cuban, two Americans and three Germans reflects the diversity of the Berlin jazz scene. They met for the first time at the Berlin Jazz club, A-Trane, and despite their different roots, they harmonized immediately. The music of Unity6 features compositions created by the band members. 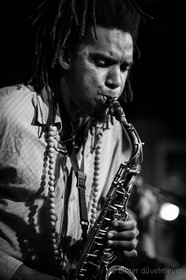 Through their unique way of playing, it is both contemporary and celebratory of the diversity of jazz styles. Dear listener, we have common musical goals - so, get infected by the energetic freshness and playful mood of this band! In November 2012 in the studios of the rbb radio station (Rundfunk Berlin-Brandenburg), we recorded our first CD entitled ‘ROT’ ( ‘red‘ in German). It’s now out on the renowned record label, jazzwerkstatt. a former student of master drummers Billy Brooks, Charlie Persip, Vernell Fournier, and Elvin Jones. His drumming has been lauded for its "high level of sensitivity, self-abandon and invention." The Magazine, Bonner Rundschau, highlighted his "musicality and scintillating play." Like many European jazz musicians, Bier felt the magnetic pull of jazz's ‘Mecca‘, and so, in 1982 he turned up on the New York scene where he would remain until 1987. Since returning to Europe, Ernst has toured extensively, working on and in a number of different projects. Looking for the liveliest music scene he could find, Bier settled in Berlin. His continuing series of workshops keeps Ernst in contact with the fundamentals: for young musicians the "Living School Workshop" has developed into an institution. 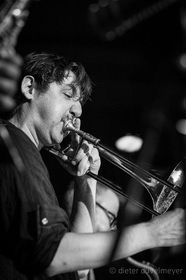 a new, innovative trombonist of the European contemporary jazz, avant-garde and improvised music scenes. He grew up in southern Germany where he studied trombone and composition. Living in Berlin since 2004, he toured with many groups like "Vierergruppe Gschlößl" and "Der Moment". Collaborations with musicians like Albert Mangelsdorff, Sam Rivers, Michael Mantler, Perry Robinson, Billy Hart, Rudi Mahall, Danilo Gallo a.m.o.. He has brought out several distinguished recordings while also founding the musicians collective, “Jazz Kollektiv Berlin“, and the famous nonet, “G9-Gipfel, Berlin“. a promising composer and improviser from Havana, Cuba, who currently resides in Berlin. He adopts in his music styles, Afrocuban music through to modern Jazz. Although he has not released any albums as a leader, he is an active member of the music community in Berlin. He is known for his extraordinary energy, and his lyrical playing with breathtaking technique. He has shared the stage with many great musicians including Chucho Valdés, Estrellas del Buena Vista Social Club, Duquende, Jeff “Tain“ Watts, Aloe Blacc, Till Brönner, Birelli Lagrene, Jimmy Tenor, Tony Allen, Jean-Paul Bourelly and Ojos de Brujo, among others. one of the leading German saxophone players. If you’ve ever seen him on stage, you'll hardly forget his performance! His extremely powerful playing, the richness of ideas in his improvisations, and his inspired compositions give him a prime position in Jazz. Matthias studied in Bern, Switzerland with Andy Scherer and in Hamburg with Herb Geller and Walter Norris. In 1995 he received the renowned Jazz award of the "Südwestfunk". Since 2001 he has been teaching at the music department of the university of Hannover. 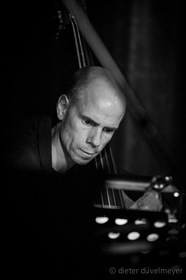 Matthias Schubert is predominantly involved in the playing, composing and recording of contemporary and improvised music. His is a formidable presence - on stages all around the world - and now on more then 60 CDs. has performed on piano, keyboards and electronics for several international television and radio shows; he has written for films, and had his music featured on prime-time American television; he has been interviewed and filmed by iconic American director Spike Lee. 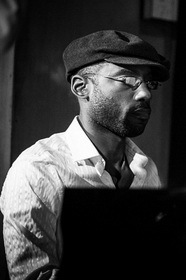 He has performed, collaborated and recorded with many of the greatest artists in the world from improvising on the piano with the New York City Ballet to recording on Fender Rhodes, organ and synthesizer with Qtip; from arranging and conducting a live orchestra with Carl Craig's Innerzone to singing live with Stevie Wonder before thousands. Kelvin has also recorded and performed extensively in top-level festivals and musical venues in major cities all over the world, as leader of his own ensemble and as a sideman. He has received over 10 musical awards and given music master classes in many international schools. with his strongly expressive bass playing, Jonathan Robinson has enriched already countless albums and bands. He has performed with many artists including Jerry Bergonzi, Gerald Cleaver, Bob Moses, Greg Burk, Matt Maneri, Archie Shepp, George Garzone, Rick Margitza, Steve McCraven, Jeff "Tain" Watts, John Tchicai, Fabio Morgera, and David Gilmore. He studied music with multi-instrumentalist Yusef Lateef and iconic jazz-saxophonist Archie Shepp. Jonathan currently resides in Berlin, performing regularly with Kelvin Sholar, Carl Craig, Ignaz Dinne, Kurt Rosenwinkel, Fat Dragon, For Free Hands, Greg Burk Trio and many more. His debut recording as a leader, Spatial Stasis, features his original music for quintet. It was released by jazzwerkstatt Berlin-Brandenburg in 2009. "Jonathan Robinson, a bassist with a big sound who is as capable of melodic arco work as he is of swinging hard," John Kelman, All About Jazz. FREIBERG - In kaum einer Nische der Popkultur funktionieren Begegnungen der Generationen und Dialektik von Kontinuität und Kreativität so gut wie im Jazz. Das machten auch die 40. Freiberger Jazztage erlebbar. Zum Beispiel am Samstagabend im Theater - „das ist wie ein Opernhaus, nur kleiner“, schwärmte der renommierte Schlagzeuger Emst Bier, der diesmal mit seinem Musikerkollektiv „Unity6“ in der Bergstadt für Furore sorgte. Das internationale Sextett mit Bier am Schlagzeug, Joel Holmes am Flügel, Andreas Lang am Bass, Ben Kraef und Regis Molina an den Saxophonen sowie Gerhard Gschlößl an der Posaune fasziniert schon, wenn es die Bühne betritt, sich noch einzuspielen scheint - um dann gleich teuflisch exzessiv in bester Free- Jazz-Manier übereinander herzufallen. Doch sie können auch anders: göttlich einschmeichelnd, melodisch, mystisch, intuitiv - wofür Ernst Bier das beste Beispiel ist, der ganz eins ist mit seinem Schlagzeug, spielerisch leicht aus dem Handgelenk trommelt, immer lächelnd im Blickkontakt zu seinen Mitmusikern, die einander gegenseitig inspirieren, die wie eine Big Band und wie ein prätentiöses Kammerorchester klingen können, dabei nicht trotz, sondern wegen ausgezeichneter Soli immer einander nah bleiben, ganz gleich, ob sie eigene Kompositionen oder Stücke von Ed Schüller oder Sun Ra spielen. Großartig! There is much going on this wonderful CD. I love the chordal writing for the horns. The fabulous, advanced and technically correct solo lines over the vertical harmonic structure are absolutely amazing. Beautiful and interesting melodic lines come constantly. This wonderful CD shows the beauty and kind gentleness that can be found in atonality. The precision and beauty of the players in this regard overwhelms me and no one forces their tones. The drums are a constant contribution to this sensitivity. And so, another Berlin musician has made the diversity of the city his subject: Ernst Bier has just recorded in the studio with a star-studded ensemble, which he calls, Unity6. Drummer Ernst Bier is a tireless architect of the Berlin Jazz identity. Even though he has not sought recognition outside Berlin, his standing among musicians always draws important exponents of the international scene into the city. 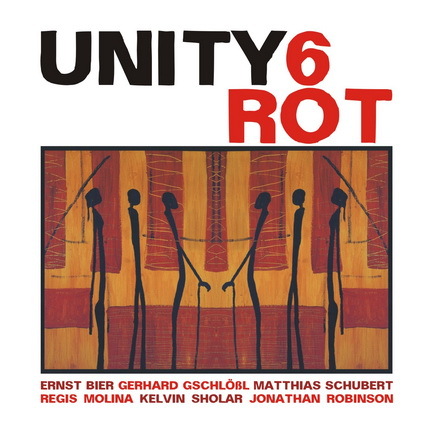 Unity6 includes such diverse musicians as saxophonists Regis Molina and Matthias Schubert, trombonist Gerhard Gschlößl, pianist Kelvin Sholar and bassist Jonathan Robinson. Even in varied circles, they are ‘at home’, and even when the age difference between Bier and Molina is almost 34 years. "We do not think about such things." says Bier. "We share a common soulfulness, our energy level and our views are beyond scenes and generations. Together with the band I'm looking for something that I cannot describe. If it happens in the room, then - I feel it. " Immer noch wird dem Schlagzeuger Ernst Bier, diesem Musiker, der aus der großen Elvin-Jones-Tradition kommend sich immer wieder auch in freie Gefilde begibt und mit nahezu allen wichtigen Musikern der Moderne diesseits und jenseits der Trennungslinie zur Avantgarde gespielt hat, nicht die verdiente Aufmerksamkeit zuteil. Diese CD hätte das Potenzial dies zu ändern. Der Wahlberliner Bier hat mit fünf weiteren Wahlhauptstädtern ein Sextett zusammengestellt, das eine äußerst schlüssige und vergnügliche Musik aus der Schnittmenge von moderner Tradition und Free-Elementen gestaltet. Da klingt Jack DeJohnettes Special Edition an, und der karnevaleske Übermut des seligen Willem Breuker Kollektiefs feiert übermütige Urständ. Regis Molina klingt am Altsaxofon wie ein Johnny Hodges, der seinen Charlie Parker verinnerlicht hat, und auf dem Bariton entwickelt er die Energetik eines Hamiet Bluiett. 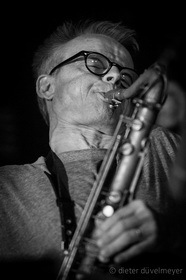 Matthias Schubert am Tenorsaxofon weiß viel von Heinz Sauer, und einem Gerhard Gschlößl an der Posaune ist zwischen Roswell Rudd, Albert Mangelsdorff und alpenländischer Blasmusik nichts fremd; der Pianist Kelvin Sholar verbindet Jaky Byard mit Don Pullen, und Jonathan Robinson am Kontrabass findet für all die Individualisten die richtige Unterfütterung, greift dafür auch schon mal zum Banjo. Das Sextett spielt weitgehend Kompositionen seiner Mitglieder und die werden in ausgewogenen originellen Verlauf-Arrangements dargeboten; Ernst Biers diskreter Beat organisiert sie – unspektakulär ‒ in bunter Farbigkeit. Auf seiner Homepage vergleicht Schlagzeuger Ernst Bier den Beruf des Musikers mit dem des Arztes - „die Menschen kommen ins Konzert, um sich durch Musik behandeln zu lassen." Ein halbes Dutzend Berliner Musiker bevölkern sein Ärzteteam und beginnen schon vor einer tiefgehenden Diagnose mit der Therapie. Auf dem Debütalbum von Unity 6 geht es sofort zur Sache, obwohl: man sollte sich vom „medizinischen" Angebot nicht täuschen lassen. Der erste Titel „Unity 6" führt mit seiner sanften Heilmethode allzu leicht auf therapeutische Irrwege. Schon das folgende Stück, „In time out" von Ed Schüller, bietet Alternativen zum Schuljazz an, ähnlich der Naturheilkunde zur Schulmedizin. Es blubbert im Reagenzglas, kleine Tonformulierungen kriechen über den Rand, im Hintergrund walten urwüchsige Kräfte. Sehr traditionell rührt das aus unterschiedlichen Generationen bestehende Sextett in der Suite „Aus Variationen über Thema Jazz" von Matthias Schubert ein dreiteiliges Menü an, das gegenüber allen anderen Stücken durchgängig die Harmonik aus den 1920er Jahren anwendet. Die Unruhe hinter den in die Irre führenden lauen Winden durchbricht harmonische Grundstrukturen und erklärt, warum sich Berlin wohl als Diva des Metropolen-Jazz fühlt: Es geht nicht ums Kleckern sondern ums Klotzen. Seine Züge spiegeln höchste Konzentration wider. Er ist ganz Ohr und Auge. Er hat diese Musiker, deren Herkunft und musikalischer Background kaum unterschiedlicher sein können, in der Band „UNITY 6“ vereint. Sechs derartige Individualisten, einschließlich des Leaders, zu einem Konzert- und CD-Projekt zusammenzuführen, beieinander zu halten, auf der Bühne und im Studio, erfordert ein besonderes Organisations- und Koordinationstalent, vor allem aber die Befähigung, integrierend zu wirken. Über diese Gaben verfügt Ernst Bier (62), der seit 1992 in Berlin lebende Schlagzeuger und Perkussionist. Er stellte es jüngst erneut unter Beweis mit dem Projekt „ROT“. Die CD wurde in den rbb-Studios Mitte 2012 aufgenommen und im Juni bei einem Release-Konzert im renommierten A- Trane vorgestellt. 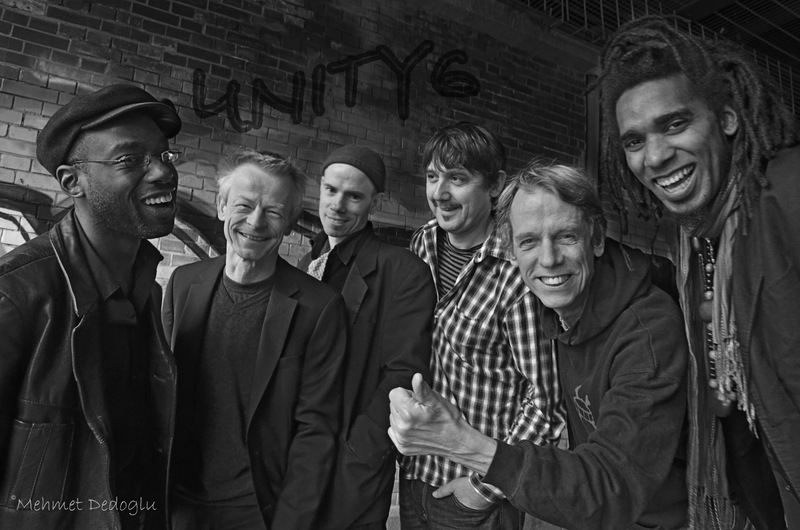 Die „UNITY"-Mitglieder, aus allen Gegenden kommend, aber seit Jahren in Berlin lebend,Gerhard Gschlössl (tb, sous), Regis Molina (as, bs, fl), Matthias Schubert (ts), Kelvin Sholar (p) und Jonathan Robinson (b, bj). Sie spielen nur eigene Stücke, außer dem free- styligen „In Time Out" von Ed Schuller, einem langjährigen Weggefährten Biers, und nicht von ungefähr scheint dieser sich mit seiner Vorliebe für freies, poly­rhythmisches Spiel an seinen zeitweiligen Lehrer und sein Vorbild Elvin Jones erinnernd, am wohlsten zu fühlen, so auch in dem einleitenden Piano-Bass- Schlagzeug-Stück „EinWeinFrei" von Gschössl. Dass er aber auch einfühlend zart und melodiös untermalen kann, zeigt er bei Molinas betörendem Flötensolo in „The Tree of Life". Fein gestrickte Melo­dien sind auch in Sholars „UNITY 6" und Robinsons „Lilting Banshee" zu hören. So reicht die Bandbreite der CD von Melodischem über das groovende Titelstück „ROT" von Schubert, ein hardbopiges „Crimson Hexagon" von Sholar, über atonale Bläsersätze bis zum Freestyle a' la Schuller. Nicht unerwähnt bleiben sollen die drei Auszüge aus Schuberts ironisch gebrochenen „Variationen über Thema Jazz". Dass allesamt solistisch brillieren, versteht sich. Von Emst Biers Band Unity6 war im Mauerpark bereits die Rede. Jetzt liegt unter dem Titel „Rot“ /Jazzwerkstatt die erste CD des Sextetts vor. 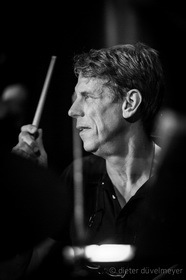 Mit Posaunist Gerhard Gschlößl, den beiden Saxofonisten Regis Molina und Matthias Schubert, Pianist Kelvin Scholar und Bassist Jonathan Robinson lotet der altgediente Drummer aus, was Berlin für ihn bedeutet. Es geht nicht um die gemeinsame Schnittmenge, sondern um die Unterschiedlichkeit der verschiedenen Erfahrungen von Musikern von Ende 20 bis Anfang 60, von denen kein einziger in Berlin geboren wurde. In dieser Hinsicht ist Berlin dem Jazz gar nicht so unähnlich. Die Big Currywurst ist immer genau das, was sie gerade noch nicht war. So bleibt auch die Musik des Sextetts in jeder Hinsicht unberechenbar und heterogen. Je nach Autor des jeweiligen Stückes pendelt die Band von anhei­melnd verbindlich bis extrem abstrakt.